Why pay more than you have to? You're in town to explore the city, or to go shopping, catch up with friends, maybe see a band, or go to the football, not to spend time in an expensive hotel room. We can offer you most of what the big hotel chains do anyway.... just with twice the fun and half the price. Now you can truly budget stay, your way. We have a huge selection of rooms from single or double private rooms with all the trimmings to twin rooms, family rooms, mobility enabled rooms or large dorms. Even with this massive choice, every room is ensuite. 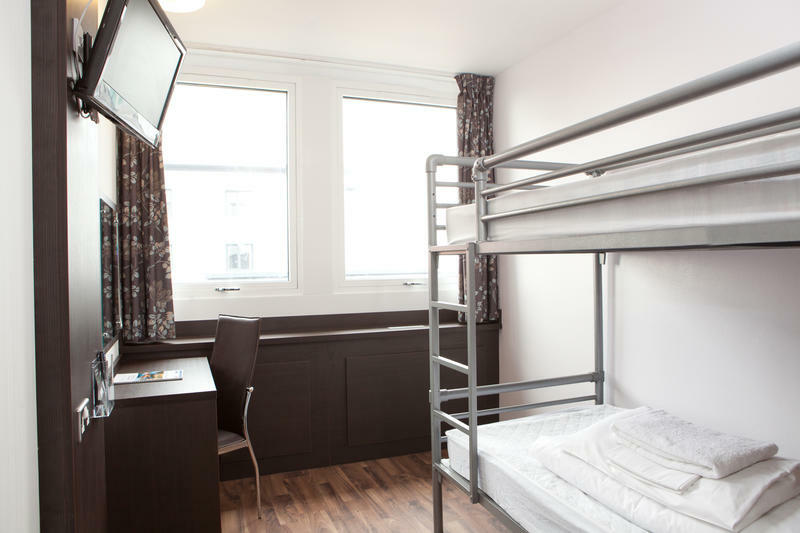 We supply all bed linen and lockers are provided in dorms to secure your belongings. We have our Bar, Mint & Lime with cheap everyday prices for food and drink. During the day we're showing your favourite sporting events and offer free pool table. 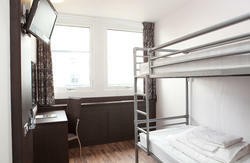 All our twin and double rooms have TV's. We have a guest kitchen, two TV rooms with huge TV and SKY, Chill-out room, secure luggage and bike store, Internet access, FREE WiFi in our Bar, Mint & Lime, towel hire or purchase and a guest laundry. Its your stay, so do it your way. What more could you ask for? We welcome groups of all sizes throughout the year and make an ideal choice for sports teams, university groups and concertgoers. All bedrooms are on the upper floors so there's plenty of room for the late-night party animals to continue the night without disturbing the peace of other guests. Our staff can organise all of your group activities and tours. 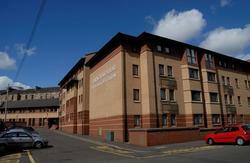 Euro Hostel Glasgow is our flagship property and we are very proud of it. It's clean, safe, friendly and loads of fun. Not only do you enjoy cheap, clean accommodation, but because we're right in the heart of the city, you save those bus and cab fares too.